Whether you’re bootstrapping a new business or have received a much-needed infusion of cash, running a startup requires a lot of networking with others. Video conferencing can play a role in this from collaborating with your partners to pitching your business plan to investors. Below are a few ideas on how to use video conferencing in your startup. First, let’s look at some of the advantages of video conferencing. Save on Office Space — Housing employees is expensive, even if you just have a few of them. What if everyone worked remotely? You’d save a lot of money on office space each month. Hundreds of companies exist that have adopted the virtual business model including Automattic, AgileBits, Buffer, Sticker Mule, and InVision (which has 700 employees). Get a Competitive Advantage — Video conferencing frees you from the bounds of geography. The best people to bring on board may not live in your city or be willing to relocate. By eliminating the office, you can hire from beyond your local talent pool. Plus, remote work is seen as a desirable perk, helping your business attract top-notch talent in a competitive hiring environment. With less overhead and better talent, your startup will have an advantage over your competitors. So, what’s a typical day in the life of a virtual startup like? Morning chats — How about starting each day with a quick video chat covering the day ahead. Keep it short, say 5 to 10 minutes max, and make it a routine. This gives everyone a chance to check in, stay informed, and get some face time. It’s also a good way to breed familiarity amongst a distributed team. Regular staff meetings — You could hold both regularly scheduled staff meetings in a video conference as well as ad hoc meetings as needed. Your regular staff meetings will be longer than your morning chats and will go into greater depth as well. Small group collaboration — Video conferencing enables you to connect in a face-to-face environment for real-time collaboration. 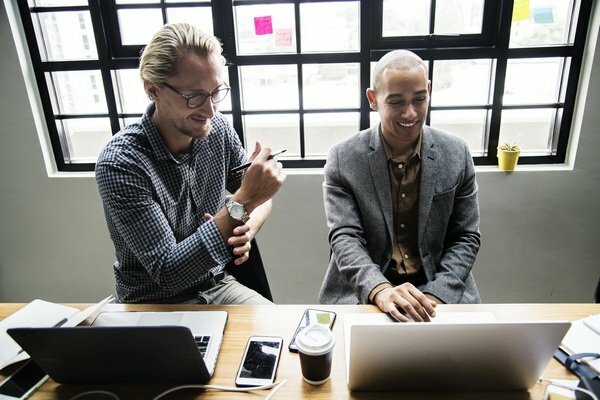 Screen-sharing, file-sharing, and other features allow for a more immersive experience, much as if your team huddled around the same computer. Video conferencing is great for training, demonstrations, sharing, and brainstorming. Interviews — Speaking of hiring talent from a global talent pool, what better way to conduct an interview than with a video conference? As a candidate rises to the top, consider having his or her future colleagues join the conference to introduce themselves. This is a good way to introduce new hires to your remote culture. Touching base — In a regular office, you might stop and chat with your team members, casually getting to know them and finding out what ideas they might have or struggles they may be facing. You’ll need a virtual way to do something similar. Consider holding one-on-one video conferences with your team members periodically so you can get to know them and pick their brains. Just like your casual chats, these should be short and informal. Pitches — It’s not always practical to meet in person, and you have the next best thing in the form of a video conferencing plan. It’s part of your competitive advantage, so why not use a video conference as part of your pitch to investors? They’ll be able to experience part of what makes your business tick while also enjoying the fact that they don’t have to travel to a meeting. Investor relations — As your relationship with investors grows, you’ll want to stay in touch. Video conferencing is an excellent communications tool. Whether you need mentoring and advice or have an issue that needs their attention, setting up a quick video conference can bring everyone together no matter where in the world they may physically be. Video conferencing is quickly becoming a must-have business communication and collaboration tool. It’s affordable and available on a contract-free basis. Try it free for 30-days and experience the benefits of video conferencing today. No credit card required.